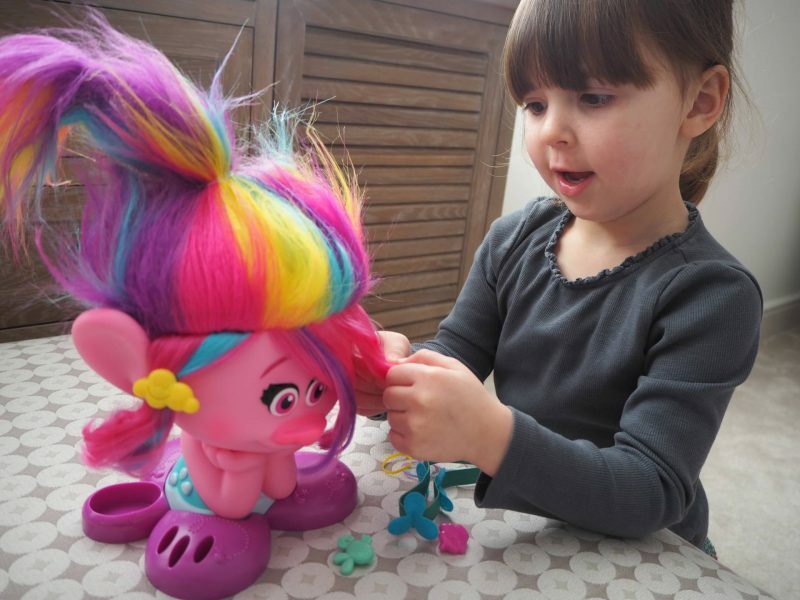 Since the Trolls movie came out my girls have loved the trolls and in particular they love Poppy. I mean what is there not love, she is colourful, kind, fun and sings a lot. My girls just adore her! 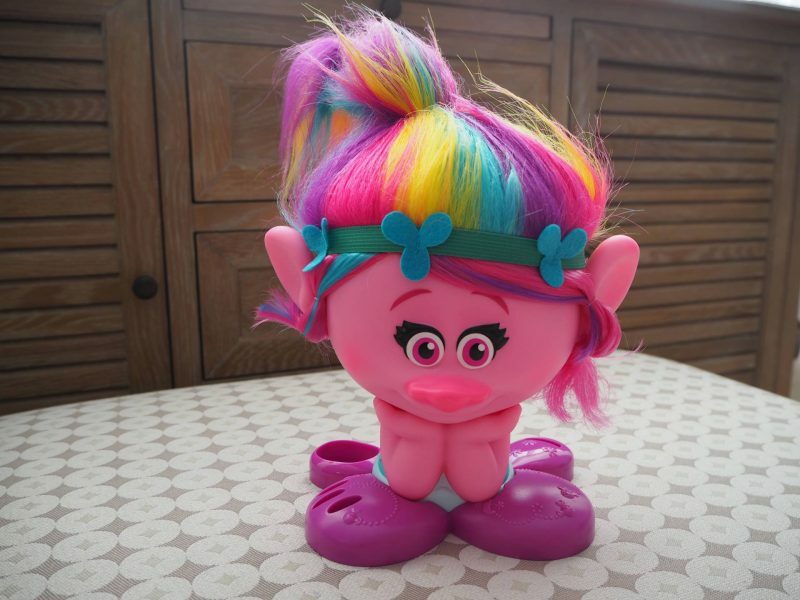 We were recently sent the new Trolls Poppy Styling Head, which I knew they were going to love. They love to play hairdressers and normally it my head that is used as the styling head. I was more than happy for Poppy to take over my job! 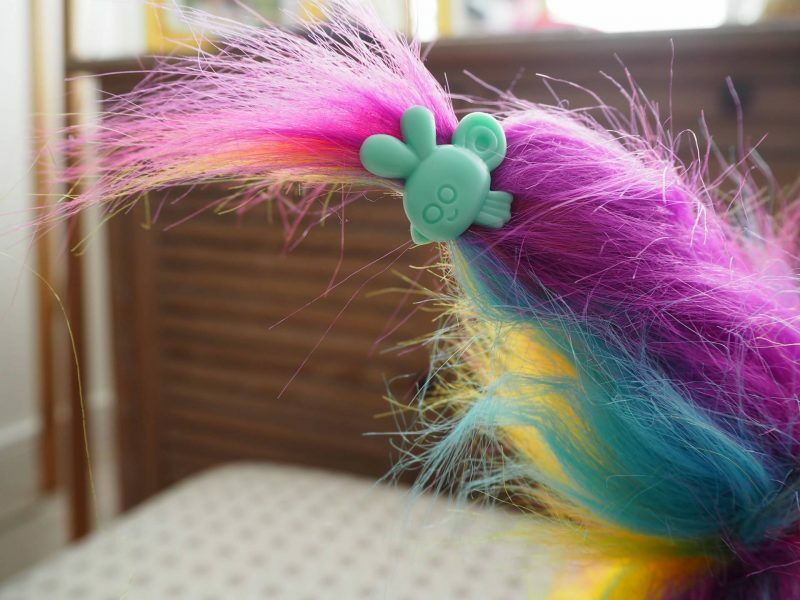 Along with the styling head, there were clips, hair bands and a comb. 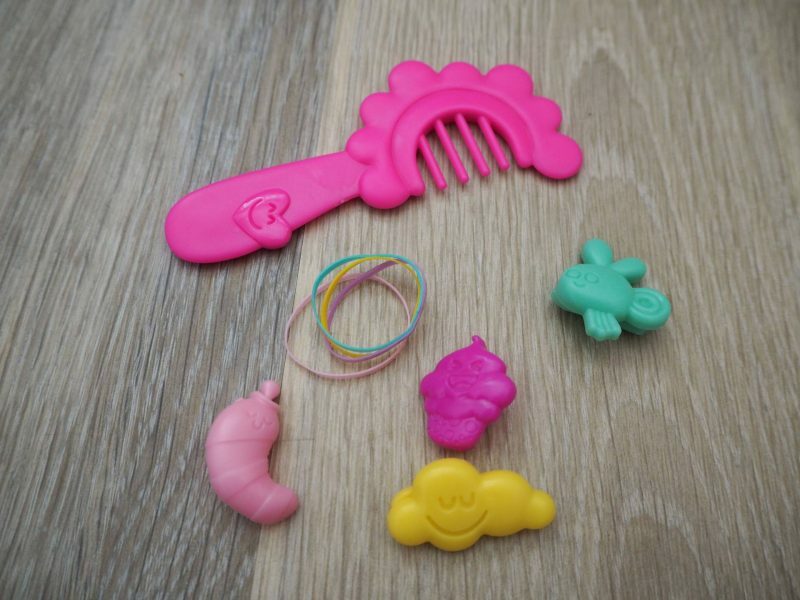 Everything you would need to create lots of different looks for Poppy. Holly couldn’t wait to start, she squealed with delight when she saw Poppy. Holly is nearly 4 years old and she was easily able to undo the caps and put them onto Poppy’s hair, which surprised me as I was expecting her to need help. The clips were all designs that you recognise from the film. 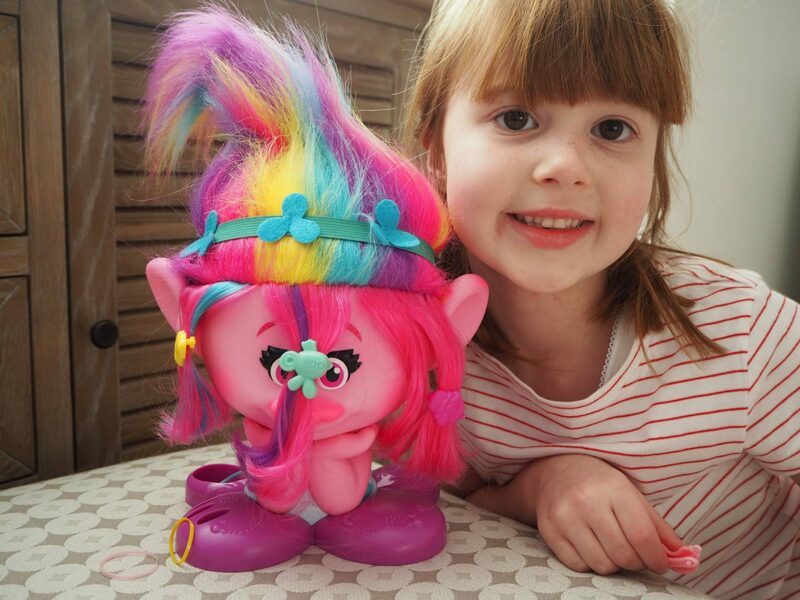 I love how bright and colourful she is and of course the character Poppy is all about the hair. Which makes this even more attractive to children. 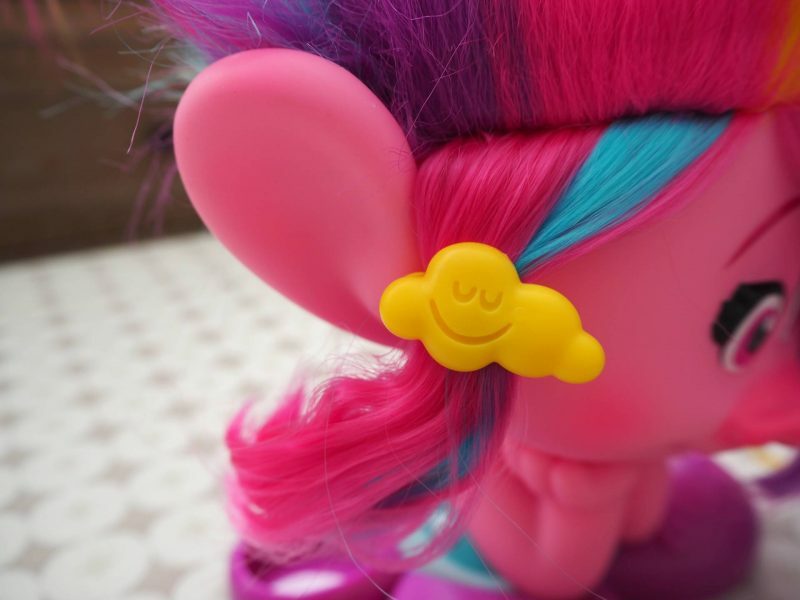 Holly loved changing her hair style and putting the iconic hairband on. 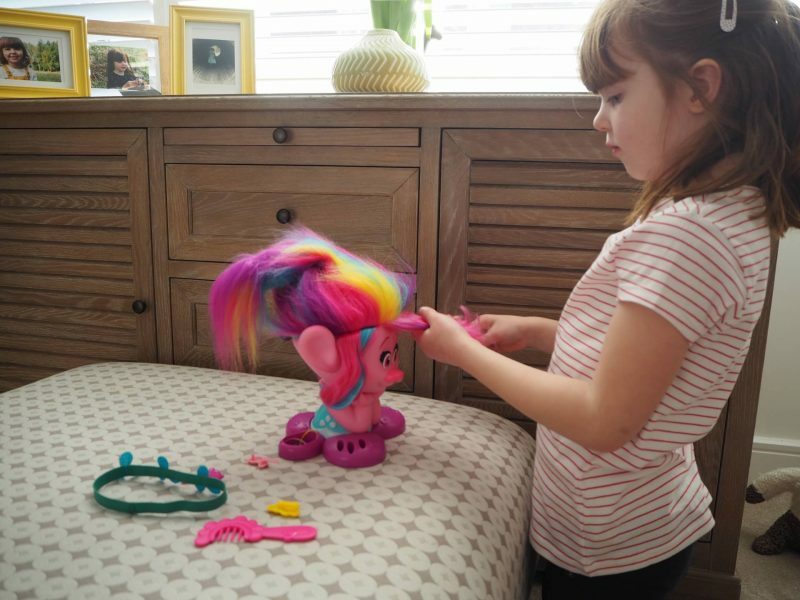 When Alice came home from school she couldn’t wait to have ago at styling Poppy’s hair. 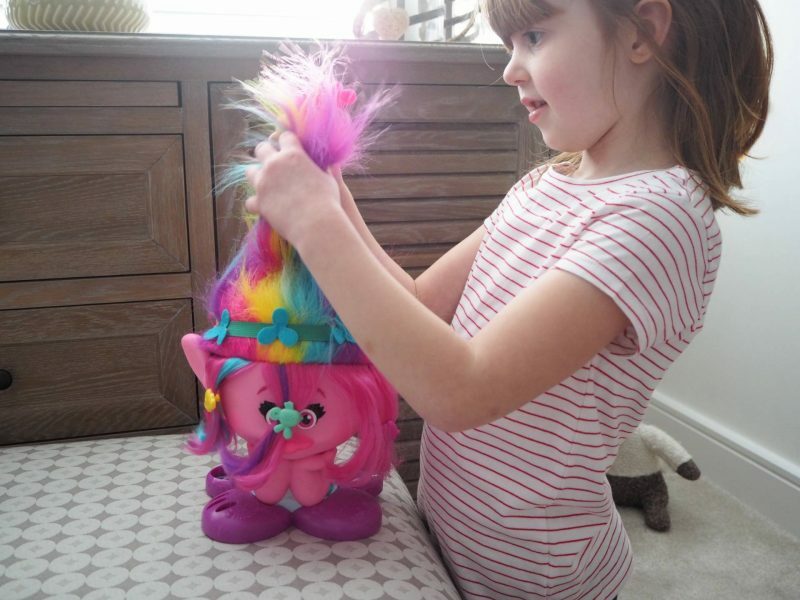 I love toys that appeal to both my girls and something they can enjoy together. Alice is 5 years old and she was also able to manage the clips on her own. She loved coming up with different styles for Poppy and it held her attention for a lot longer than I expected it to. 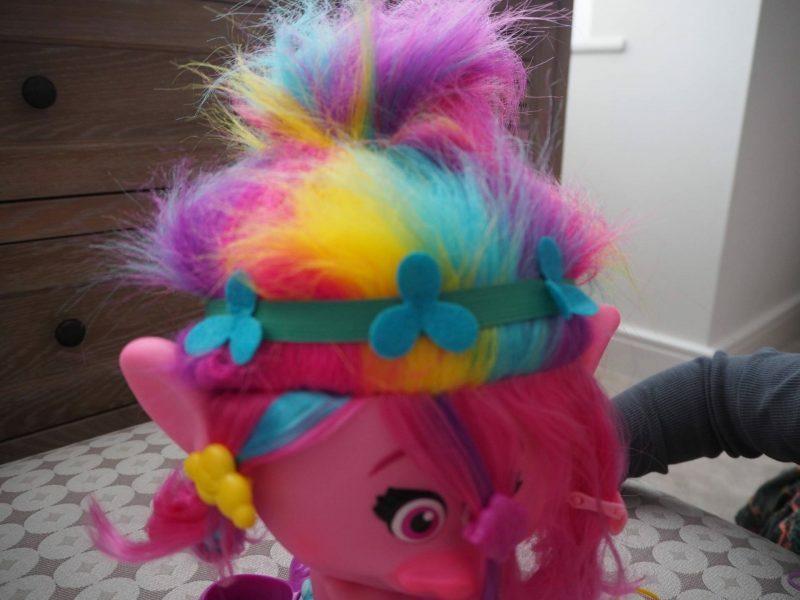 The Trolls Poppy Styling Station is suitable for children age 3+ and the RRP is £24.99. You can buy it from Debenhams, Tesco and several other shops. My girls love their Poppy and have lots of fun with it and I’m very grateful that my head is no longer needed for the hairdressing games. It’s #StylingHeadMonth and @UKmums.tv are having a Twitter Frenzy on Friday 13th April 1-2pm. I hope to see you there! Disclosure: We were kindly sent our Poppy Styling Station and compensated for our time. All views, opinions and photos are my own. I’ve been looking for a styling head so that my daughter stops practising on me! Love all the bright colours on this one which I’m sure will be considered more interesting than my boring brown and grey!